New York - Tens of thousands of people are expected to turn out tomorrow for a pair of funerals in Brooklyn and in Monsey for the Skulener Rebbe, Rabbi Yisroel Avraham Portugal. As previously reported on VIN News (http://bit.ly/2YGnJc5), the Skulener Rebbe passed away tonight in Baltimore following a long illness at the age of 95. 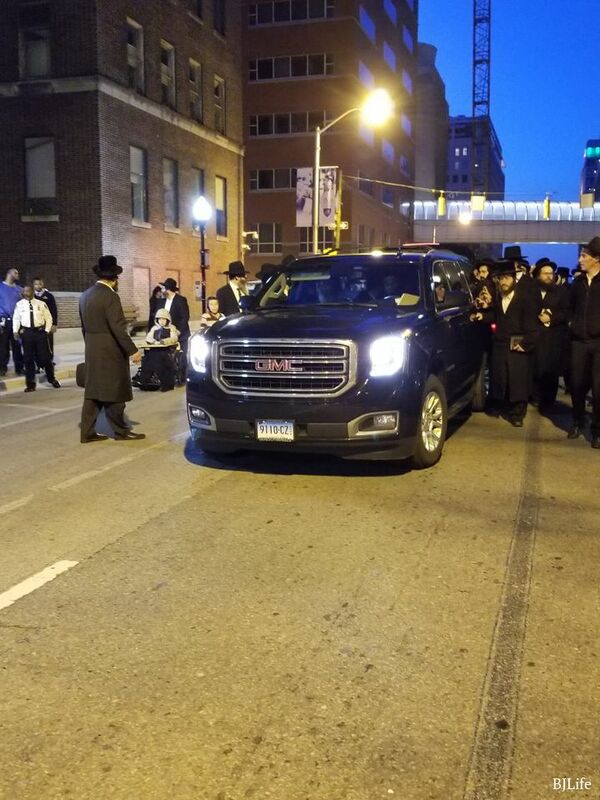 The Skulener Rebbe’s final journey has already begun tonight in Baltimore, with hundreds turning out to pay their respects as he was removed from Johns Hopkins Hospital as reported on Baltimore Jewish Life (http://bit.ly/2TQzadw). 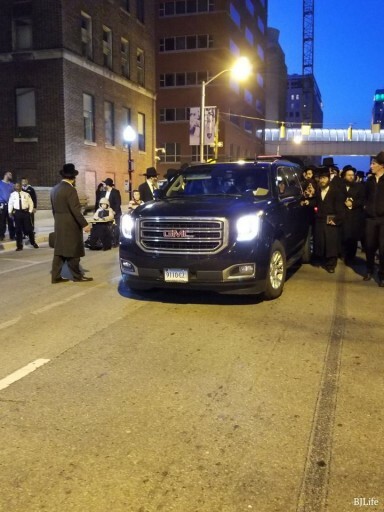 The Baltimore Police Department closed several streets in the area to allow the procession to make its way to the highway to begin the four hour trip back to Brooklyn. Tomorrow’s funeral will begin at 11 AM in Borough Park at Beis Medrash Yeshiyas Yisroel Skulen on 54th Street just off the corner of 13th Avenue. 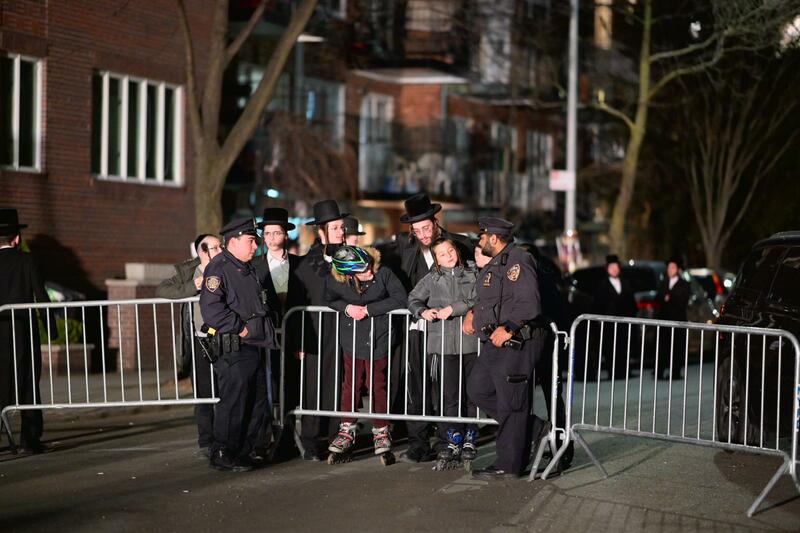 52nd to 61st streets will be closed between 12th and 16th avenues to accommodate the expected massive crowds. All cars parked on 54th Street between 13th and 14th avenues, as well as those parked on 14th Avenue from 52nd to 60th streets, must be removed or they will be towed by the NYPD as of 9 PM tonight. Those coming to Brooklyn for the funeral are urged to take mass transit because of the large number of mourners expected. 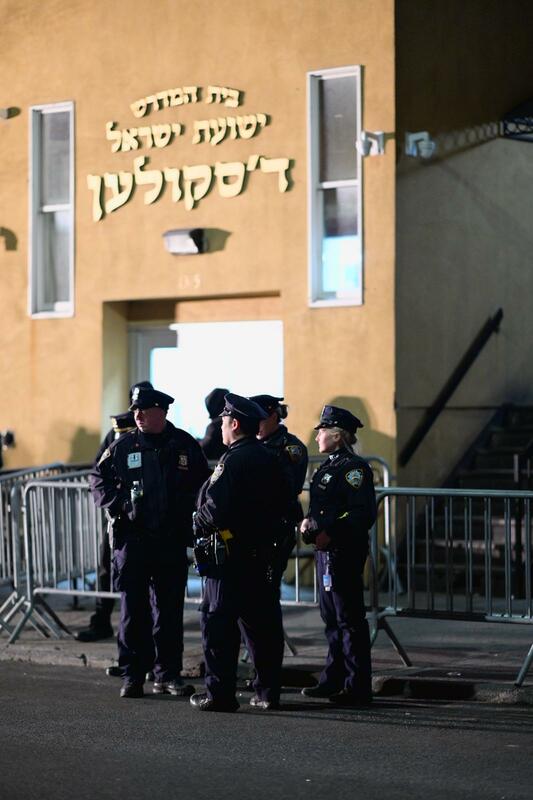 The area in front of the synagogue will be treated as a frozen zone by the NYPD for the duration of the funeral, which is scheduled to have only two speakers. 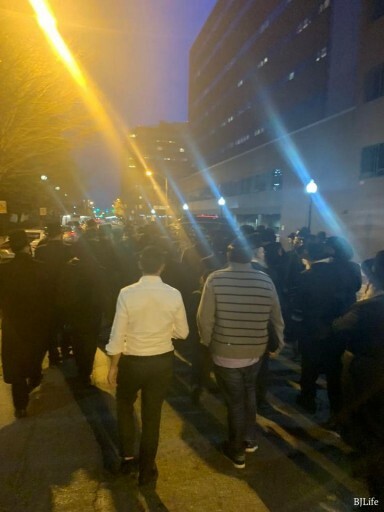 At the conclusion of the funeral, the procession will exit the area via 14th Avenue, with buses in place on New Utrecht Avenue between 56th and 60th streets to take mourners to the Monsey funeral and burial. huttle buses will be running every ten minutes to take visitors to the funeral, which is expected to start at approximately 2 PM at 4 Blueberry Hill Road. The entire Blueberry Hill area will be closed to vehicular traffic, with any cars parked on the street to be towed by police. Route 306 will be closed from Ralph Avenue to Grandview Avenue for the duration of the funeral, with possible earlier closures in case of traffic. Mourners will accompany the procession on foot to the Vizhnitz cemetery located on Route 306 where burial will take place. The Ramapo and Spring Valley police departments, New York State Police and members of the Rockland County Sheriff’s Office will all be on hand during the funeral. 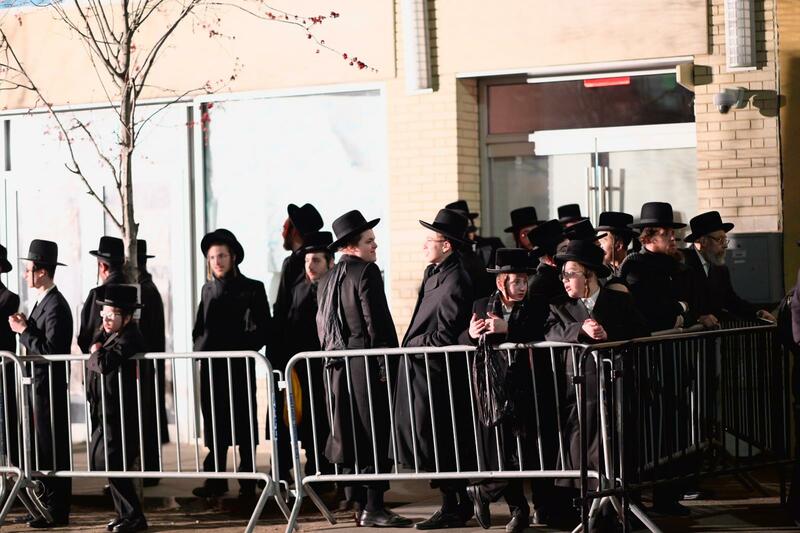 Anyone seeking any information on the Monsey funeral tomorrow is advised to call the Chaverim hotline at 845-951-1150 or 845-951-1400. I think this is overdone. Close down all the way to 61st ? There will be a big crowd but it will never reach even 56st. 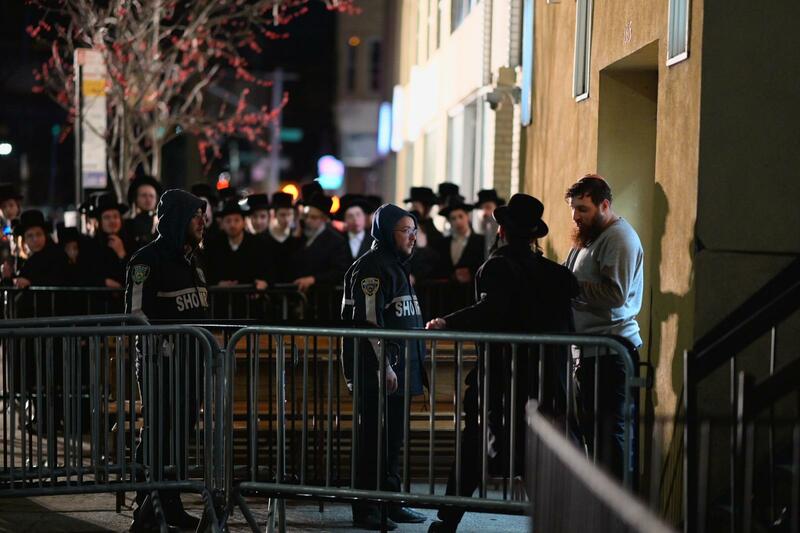 Interesting when he ewas alive he had a herd time getting 10 people for shachris at 3 pm when the Holy Rebbe davened.